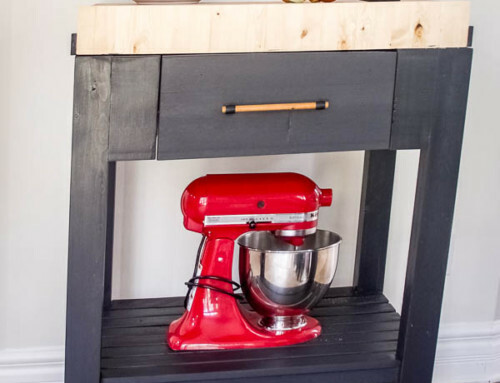 If you’re looking to add some new pieces to your current decor, but don’t have the budget for big-box stores, make your own with these 10 DIY furniture projects for beginners. 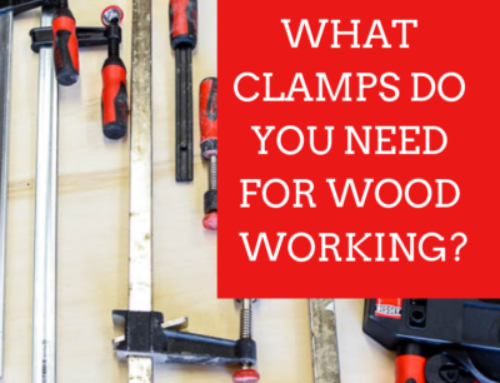 My formal carpentry training consists of wood shop in grades 7 and 8 – and while that is two years of pretty intensive hands-on experience (amounting to about 1 hour per week), I’d hardly say it puts me in anything more than a beginner class when it comes to building. One of the first pieces I made as a DIY furniture project was this rustic X coffee table from Ana White. The X section did give me a bit of a run for my money, but it wasn’t anything a bit of wood filler couldn’t fix. 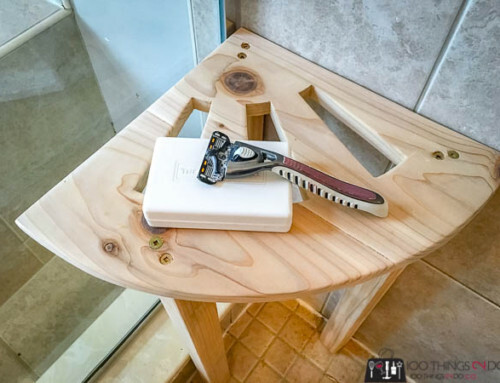 As far as DIY furniture goes, this piece consists of mainly 2″ x 4″s and can be built with a mitre saw, drill, sander and pocket hole jig – so pretty minimal in the tool department. One of my favourite DIY furniture builds is this throw pillow storage shelf. For this build all you’ll need is a drill, a level, and some rope (and have the home improvement store make your cuts). It’s functional and decorative at the same time and will keep all of your out-of-season pillows tucked away neatly. If you’d rather buy ready made furniture and avoid DIY, find some here. I put up a photograph of a gorgeous, rustic entryway table on the blog (which I found on Etsy) and the image went WILD on Pinterest. For those of you/us that couldn’t afford the hefty price tag, I whipped up free building plans to make your own sofa table / entryway table / console table here. I’ve included my laundry sorting station as a piece of DIY furniture because it’s of a substantial size, and because it can be as decorative as it is functional… or at least as decorative as furniture gets in your laundry room. My laundry dresser is pretty large, too large perhaps, but it does give me a fantastic work area to both fold and watch Netflix at the same time. Does it help get people to put their laundry away? Nope, but if/when they don’t, the baskets stay in my basement out of sight. I’m going to add in one last ‘rustic X’ piece of DIY furniture into the mix – might as well complete your family room and/or basement with the full coordinating collection right? This side table was another early build and very easy to make. I like the size of it because we have a rather large family room, and because it offers a lot of storage underneath for baskets or throws. This gift wrap storage caddy might be pushing the boundaries of DIY furniture – it’s a larger piece that I leave out all year, but perhaps it should fall more into the organizing category than furniture? Either way, this build is pretty simple and the resulting piece of ‘furniture’ can be left out as both a decorative piece and as a functional organizing solution as well. 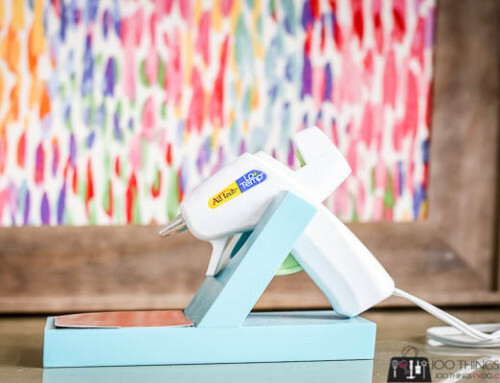 Maybe instead of gift wrap, you could use it for a portable coffee station or baking station with your KitchenAid stored where the ribbon is? This media centre for the IGBC 4 Challenge was my largest and most challenging build – drawers are not at all my forte – but I completed it, and it turned out beautifully so I’ve included it in my list of 10 DIY furniture pieces. My only experience before building this beast – the other projects you see in this list. Your confidence will build with each project you attempt. I’m going to add another storage and organization build to my 10 DIY furniture projects for beginners list; garage shelving. While this isn’t an indoor piece with a pretty finish, it is something most homeowners aspire to having – organization. Made entirely of 2″ x 4″s and free-standing, this garage shelving build can be made larger or smaller very easily, and you can adjust your shelf heights by simply moving where you screw your boards in. It’s also a great chance to clear out some of your typical garage clutter, daunting as that may be. Fortunately companies like Bulldog Rubbish Removal can help you shift all that unwanted mess. That way you can see your beautiful new bit of DIY furniture instead! Number 10 of my 10 DIY furniture projects for beginners is my Pottery Barn knock-off nightstand. I just finished this earlier this week and I love them so much! Made entirely with home improvement store lumber (so inexpensive), but with the look of the real-deal. 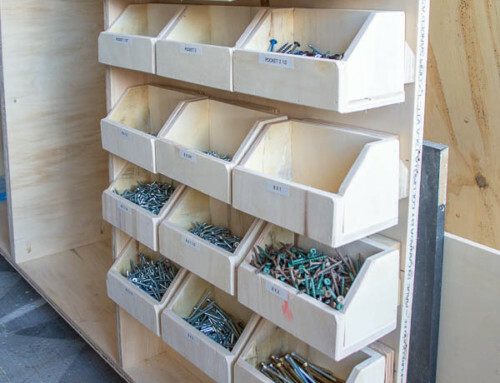 The majority of the build was perfect for a beginner DIYer, with enough learning (drawer and trim) to make you better for your next project. I started building for 100Things2Do.ca in 2015 and I LOVE it! With every project I learn something new, build my confidence a bit more, and tackle a new skill. Best of all, I still have all of my fingers I have saved a bajillion dollars by making my own DIY furniture and can look around with pride at my hand-built home. You’ve got nothing to lose but a bit of time. 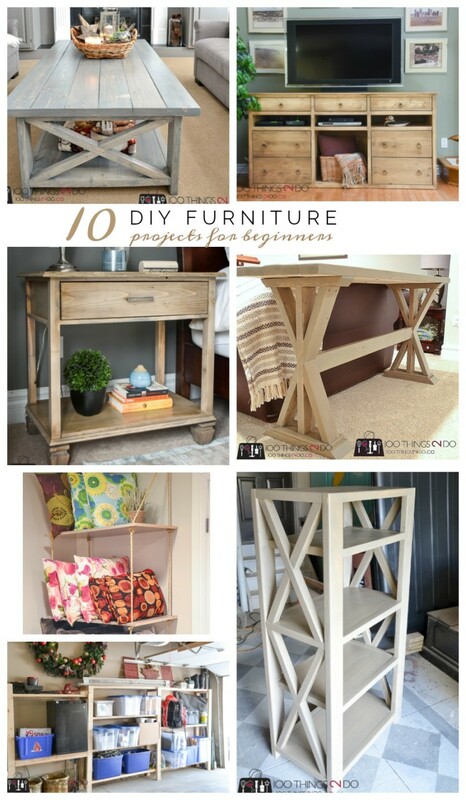 Start with these 10 DIY furniture projects and I promise you won’t be able to look at manufactured furniture the same way again.